BIG NEWS! For Rock fans as the one of the biggest female fronted bands right now comes to Stage AE! The one and only Halestorm are traveling North America with incredible support from In This Moment… As one of those groups that keeps on touring, they are absolute pro's. Stage AE on Monday 7th May 2018, is the night to remember!! But don't forget as it's a hugely in-demand show – early booking is recommended! 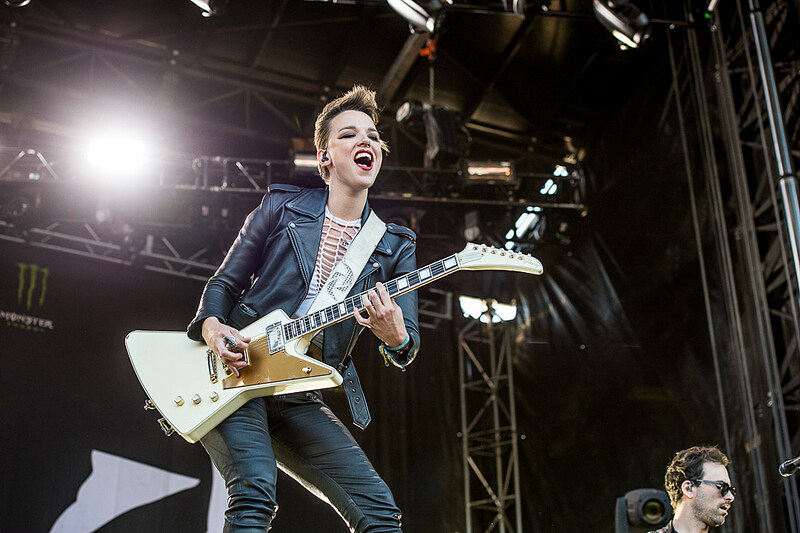 Led by the talented vocalist and guitarist, Lzzy Hale is the incredible Halestorm. A pungent rock group that have hardly ever stopped touring since their debut in 2006! Other members include, her brother drummer and percussionist Arejay Hale, guitarist Joe Hottinger, and bassist Josh Smith. Together they have truly live up to their name, taking not just the US, but the world by storm. Grabbing a Grammy Award for their performances and releasing out of this world albums and hit singles. But one thing stands out and that is their live shows, as they have been known to play around 250 dates each year and supported / performed along side an endless list of A star, legendary musicians and fellow talented artists on the scene… some of the names include the likes of; Alter Bridge, Chevelle, Seether, Staind, Papa Roach, Trapt, Three Days Grace, Theory of a Deadman, Buckcherry, Disturbed, Shinedown, Avenged Sevenfold, Stone Sour, Hellyeah, Heaven & Hell, Evanescence, The Pretty Reckless, Starset, Sevendust, Dorothy, Lita Ford and Bullet For My Valentine – all of this in under 10 years of showcasing what they do best! With outstanding live concerts, energy that's through the roof, both off and on the record – Halestorm are a group that are an absolute must see! As they embark on their 2018 tour, make sure you get down there! !